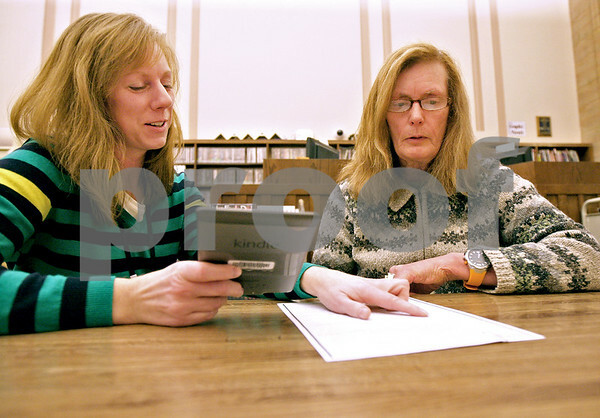 Jodi Sopita instructs Beverly Smith on how to rent e-books on a Kindle at DeKalb Library on Wednesday, February 26, 2014. Smith wants to try out one of the library's Kindles to see if she wants to purchase her own in the future. The library has Kindles and Nooks that patrons can check out to read their e-books.